As a fleet operator it’s important to continually looks for ways to be more competitive by improving fleet productivity whilst maintaining or improving safety as well. Productivity boosts can be achieved by decreasing driver’s paperwork and maximising their time on the road – and the use of your fleet vehicles. When it comes to maximising time on the road communication time can be an efficiency killer. 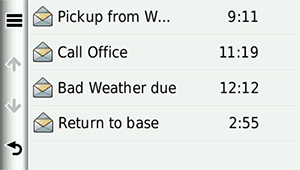 With customer needs requiring on-time delivery and flexibility in scheduling it’s very common for fleet and operations manager to be sending updates to their drivers. Mobile phones voice or SMS text are frequently used to contact the driver but they are a big distraction (and a safety issue) whilst drivers are on the road. Of course, calling a driver on their phone is fine if the drivers are setup with hands-free or bluetooth. However, if the fleet operator is giving out an address the driver will need to pull over to write it down. And then if it’s not a depot or usual customer address the driver will need to punch the address into their GPS navigation system. This all takes time and eats into fleet productivity. 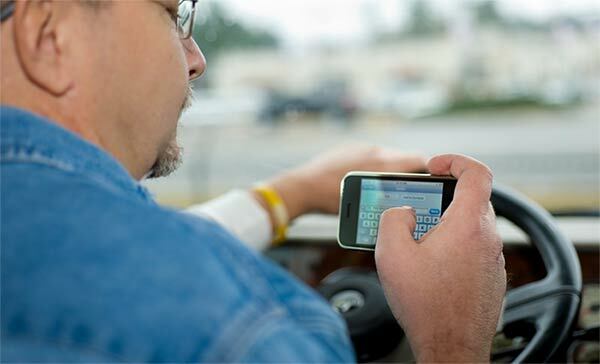 Other alternatives sending SMS text messages – again use of the mobile phone in the driver’s hands is illegal and dangerous when they are driving. A much better (and safer way) is to send instructions direct to the driver’s navigation device. That way the delivery or pickup address can actually appear in the GPS navigation screen, saving the driver from having to pull over the side of the road and programming it in manually. Fleet productivity is improved as drivers spend less time on route planning and are operating their vehicles safer. 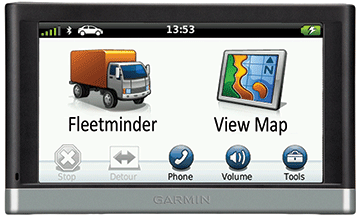 fleetminder offers this very solution through it’s Garmin navigation screen addon for the Platinum NxtG+ devices. To send a message, the fleet operator chooses the vehicle from their PC screen and either selects a pre-defined message or writes a custom message. 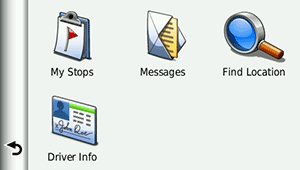 The text message then appears as alert as well as being listed in the Messages box in the menu on the driver’s Garmin screen. The driver can also respond using pre-defined messages like “Okay”, or “Acknowledged” or by writing a custom message. 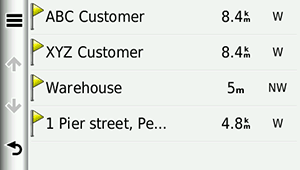 The list of pre-defined messages for both the fleet operator and driver can be set and added to anytime. To have an address appear on the driver’s Garmin navigation screen, the fleet operator simply sends a location message (a stop), saving the driver’s time and reducing the chance of data entry error. Reducing the need to directly contact to the driver means fewer distractions (safety) and eliminating them from having to stop the vehicle to lookup new address information, or to having to respond to SMS texts on their mobile phone. This can save at least 20 minutes a day per driver, and over a week up to 2 hours. And when you have a fleet of vehicles this can translate to a significant wage saving and a boost to productivity. The Garmin screen add-on is available to any new or previously installed fleetminder Platinum NxtG+ GPS tracker or with the Platinum Plus GPS tracker. A complete article on tracking benefits can be found here. 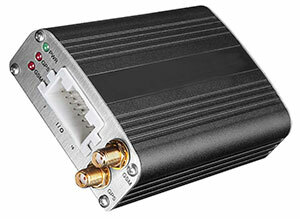 (above – the fleetminder Platinum NxtG+ GPS tracker with optional Garmin screen connectivity). (above – the fleetminder Platinum Plus GPS tracker with optional Garmin screen connectivity). 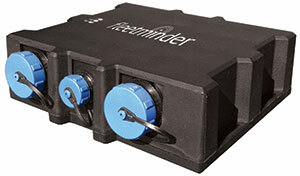 For more information about the two-way messaging system with Garmin please contact us at fleetminder.